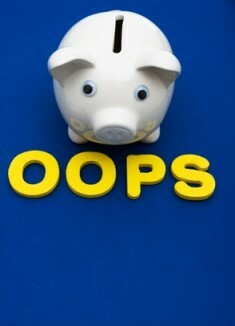 If you are buying a home one of the things you will absolutely want to do beforehand is to fix any credit report errors! There is nothing that can put a damper on purchasing a home than finding out you need to fix a credit report error so that you will be able to get a mortgage! Fixing credit report errors is not the difficult as long as you know what you are doing. There is no question that getting a home loan today is far more difficult than in years past. Gone are the days where anybody that had a pulse could speak with a bank or mortgage company and feel confident they would walk away with a mortgage. When you are looking to make a home purchase today one of the most important factors that lenders will look at is your credit report. Over the last five years, lenders have been burned badly as the foreclosures and short sales continue to mount across the country. 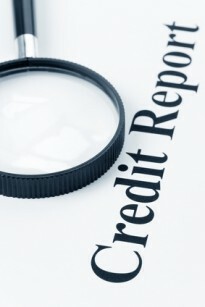 With the conservative nature of most lenders it makes it of paramount importance that your credit report is accurate! What most people don’t realize is that almost three out of every four credit reports has enough errors that could cost someone getting a loan or effecting the interest rate they receive! In many cases the consumer does not find out about the mistakes until it is too late. Checking your credit report for errors is something every home buyer should do before they purchase a home. By law you are able to get one free credit report a year from the three credit bureaus Equifax, Experian and TransUnion. Everyone should take advantage of this and be checking their credit report diligently. The lender will use your credit score to determine how great a risk you are and what the likelihood that you will be paying back the loan. The lender will also use your credit score as a basis for giving you a rate on your loan. Those who have the best credit get the best rates. It’s as simple as that. When we are faced with uncertain times in Real Estate and the economy in general there always seems to be people out there who will try to prey on others misfortune. One of the things that becomes commonplace are the companies that advertise how they will fix bad credit. The ads are easy to spot and go something like this… “credit problems?” “We eliminate bad debt”. The real truth is that bad credit does not go away by paying a company to remove it. If debt removal were only that easy! What these credit repair companies do is get inaccurate information removed from credit reports. But even they can not get rid of information that is correct no matter how damaging it may be to your financial picture. So once you have your credit report in hand and find errors that need to be corrected how do you go about fixing them? Most credit repair experts will tell you to contact both the creditor and the credit reporting agency. The Fair Credit Reporting Act requires credit bureaus to make corrections however, it does not require creditors to make corrections. Credit experts will also tell you that it’s more efficient to order the creditor to fix the incorrect information it is sending to the credit bureaus, and at the same time tell the credit bureau to update the credit report with the right information. Any correspondence you have with the credit bureaus about fixing your credit report should be done in writing by certified mail. The Fair Credit Reporting Act also requires the credit bureaus act within 30 days of receiving your request. You should send a separate letter to each agency where a mistake is found. Make sure that you explain the situation in detail and include a copy of the credit report with the faulty information highlighted. When writing the letter make certain to list the creditors name and account number for which the incorrect data appears. It also makes sense to follow the letters up with a phone call. You want to make sure you keep meticulous notes to who you are speaking with and how the conversation goes. When you speak with the creditor you are going to want to get a copy of the UDF, or universal data form. This is a document that your creditor sends to the credit bureaus to update your report. The document tells the credit bureau what sort of change is being made such as a payment history change, a balance update, deletion because of an error, an update of current status, or some other reason. If the creditor will not send a UDF, ask for a letter confirming that the creditor notified the credit bureau of the inaccuracy and asked for a correction. All these steps become important should you not be able to get your credit report cleaned up and need to file a lawsuit. Collections: The credit report should not show any collection or charge offs longer than seven years old. Late payments: There should also be no late payments that are over seven years old on the report as well. Payment records: All paid in full loans should or loans settled for less than the amount due should show a zero balance. Sometimes these do not get updated on the reports. Original dates: Length of your credit history accounts for 15% of your credit score. The date you opened your account should be accurate. You should report the date being inaccurate if a credit card company is merged or acquired or if a credit card is lost or stolen. Available credit: Credit reports and credit card statements should match on the available credit you have. It is always good to keep your available credit under 50%. Debt accounts for 30% of your credit score. Mysterious accounts: All of the accounts on your report should be accurate. If your identity is stolen you are bound to find accounts on your report that should not exist. You should call the creditor right away to check the social security number and name with the one shown for the incorrect amount. Types of accounts: Sometimes accounts are not categorized properly. For example a home equity line of credit should be listed as a 2nd mortgage not just a line of credit. Closing a credit card: Most people do not realize that closing a card can decrease a credit score. This occurs because it shrinks your available credit which also reduces the credit utilization ratio. The credit utilization ratio is a factor in your credit score. Reason codes: You should take a look also at the reason codes which detail why your score is what it is. These codes explain what factors played into the credit score and what can be done to make them better. There is no question that keeping on top of your credit score become important for all types of loans and even possibly getting rental housing. Keeping up to speed with your credit report and fixing any credit report errors is well worth the effort. What is the difference between a mortgage pre-approval and pre-qualification when buying a home? About the author: The above Real Estate information on fixing credit report errors was provided by Bill Gassett, a Nationally recognized leader in his field. Bill can be reached via email at billgassett@remaxexec.com or by phone at 508-435-5356. Bill has helped people move in and out of many Metrowest towns for the last 27+ Years. I service Real Estate sales in the following Metrowest MA towns: Ashland, Bellingham, Douglas, Framingham, Franklin, Grafton, Holliston, Hopkinton, Hopedale, Medway, Mendon, Milford, Millbury, Millville, Northboro, Northbridge, Shrewsbury, Southboro, Sutton, Wayland, Westboro, Whitinsville, Worcester, Upton and Uxbridge MA. Previous Article Should I Move or Improve My Massachusetts Home? credit as a result since my income is reduced by double counting the payment. I really appreciate all of your expertice. I have learned and am continuing to learn about my credit and what to do about bringing up my credit score. Also I have learned about buying Land in rural Colorado.Thank you for your help. You are quite welcome Vickie. I am glad these credit tips helped.